The latest edition of Tram magazine (Nr. 97/02.-04.2009) reports on the ending of Mirage operation on route 7 in October, musing that in April 1966, 1601 and 1602 commenced running here and that the route saw this type continuously for the following 43 years. December also saw Mirage operations on route 4 come to an end. The last remaining Mirage + B4 set was split with 1680 being transferred to route 13 and 790 being stored for future heritage use. Of the 90 Mirages with cab, 55 remain in service. Of the cabless version (Blinde Kühe) two remain of 36. 12 and four further units of the respective variants remain in store. VBZ intends to equip 20 units with the new CCM radio equipment, suggesting these may be destined to last for a while yet. 1675, the unit fitted with matrix displays will probably be the first to be treated. 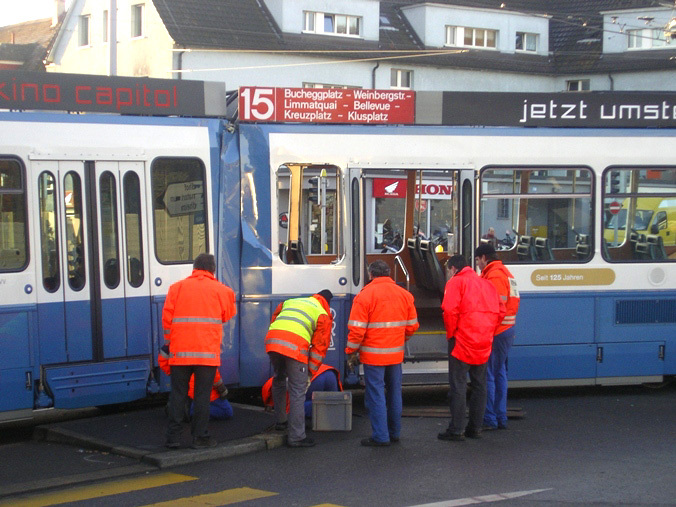 2060, the tram that was damaged in an accident in January 2008, and that had previously been reported as earmarked for repair is now likely to be scrapped after all. Winterthur: the overhead of the long-disused trolleybus route 4 has been dismantled. 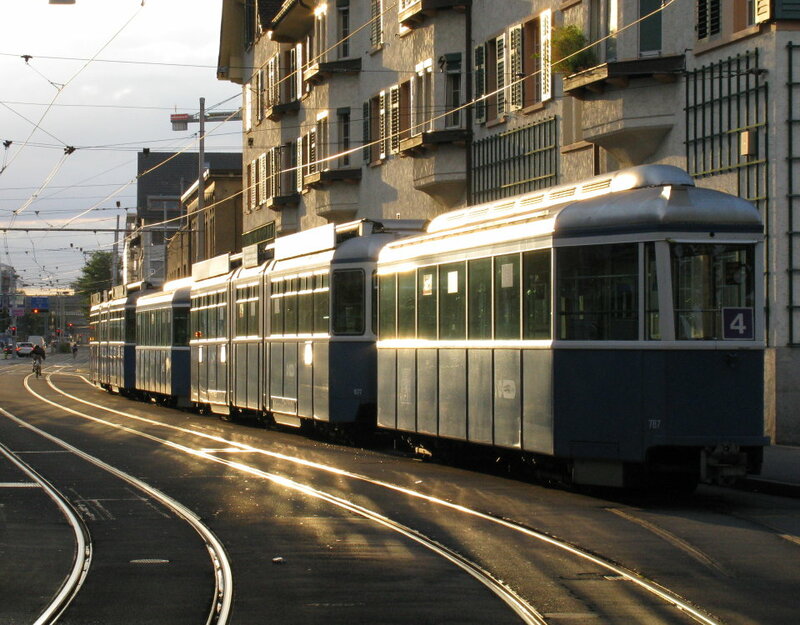 Basel: The cantonal government (BL) is planning to provide 1.34 million for the planning of the extension of route 14 from Pratteln to a railway interchange at Salina Raurica. 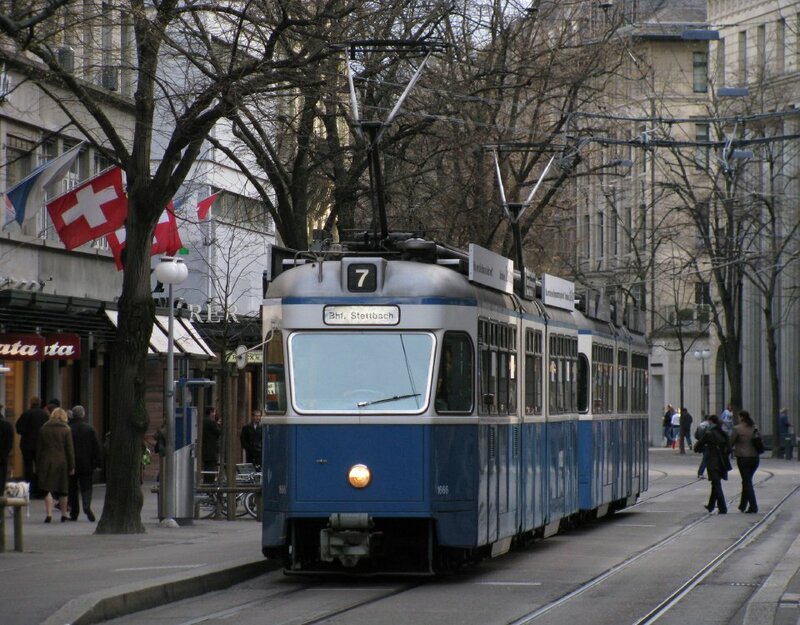 Bern: The extension of the Combino trams by adding intermediate sections has begun. The work is being carried out by Siemens in Vienna. Tram extensions are being considered to Ostermundigen Rüti (for 130 million), Köniz und Kleinwabern (260 million for all three projects). This news item is from the 2009 newslog.